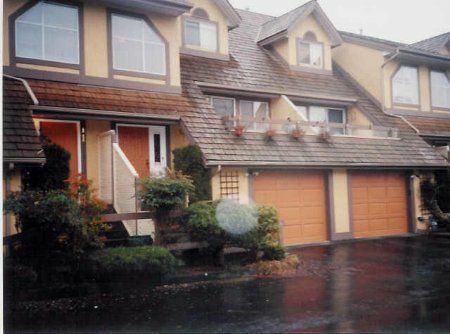 1809 SF - 2 BDRM TOWNHOME - ABBOTSFORD Desirable 2 bdrm 3 level townhome in sought after "Cameo Court". Attractive 11 unit complex w/peaked dormers boasts central location close to everything. Entertainment sized liv rm w/cozy gas f/p, din rm, sunny kitchen w/tile flr & dr to sundrenched balcony. Huge rec rm w/wet bar. 2 bdrms include. master w/huge w/i closet & dressing area w/sink. 4 pce main bath & 2pce powder rm. Single garage. Attractively landscaped terraced rear yd w/pond. The good life just keeps getting better.